The Mussallem Union is a campus institution and one building you’re sure to visit practically every day. Play some pool, foosball or giant Connect 4. 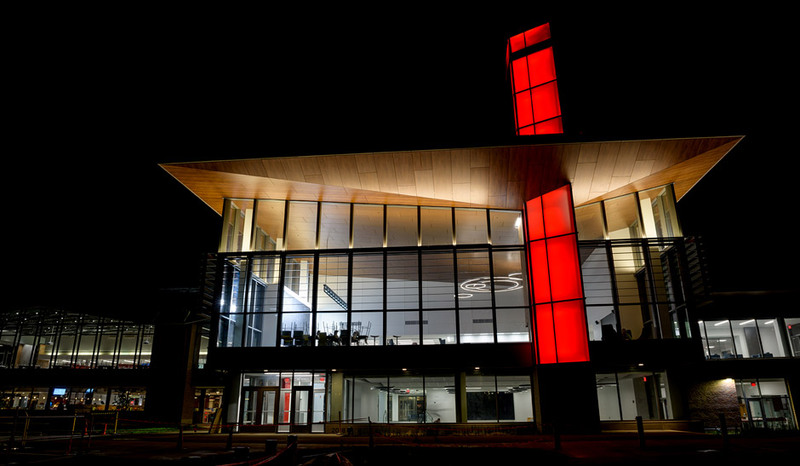 Grab a hot cup of coffee, study or relax in our newly expanded student union. 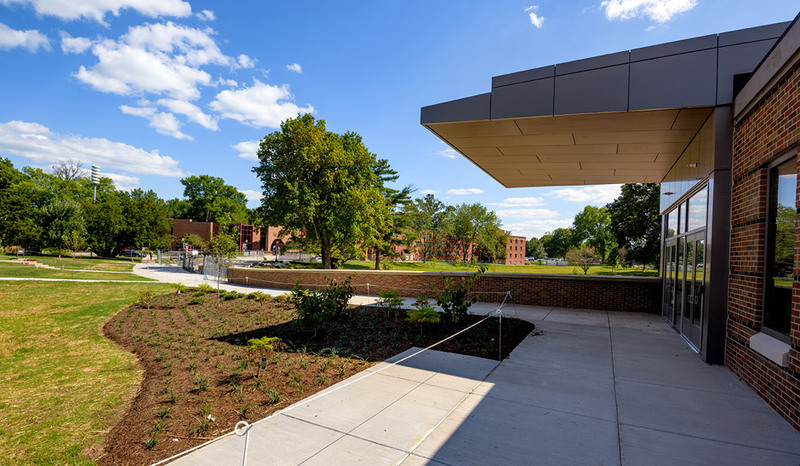 With plenty of social spaces, a great view of the lake, a living wall, and awesome dining options, it’s the place to be, day or night! Watch this video to learn more about how lead donor Mike Mussallem's vision was brought to life. 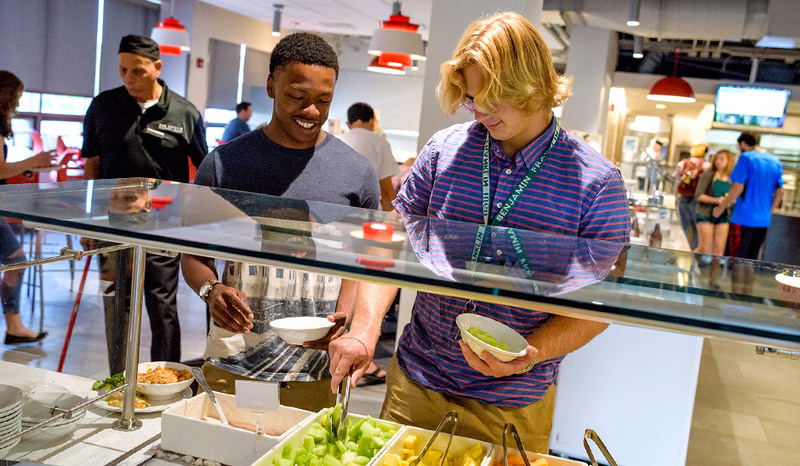 It’s the central hub of campus activity from dining to recreation to career services. 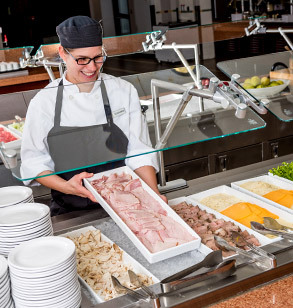 Our Dining Services are second to none! You’ll love what we have to offer! Being a full-time STEM student is hard enough without feeling sick. You’ll have free access to our Wellness and Health Services to keep you at your best! 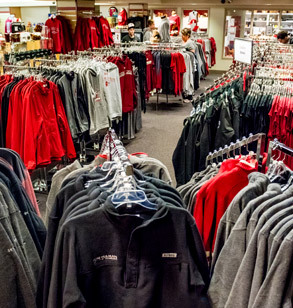 Everything you’ll need for your residence hall room plus your branded Rose-Hulman gear is waiting for you. 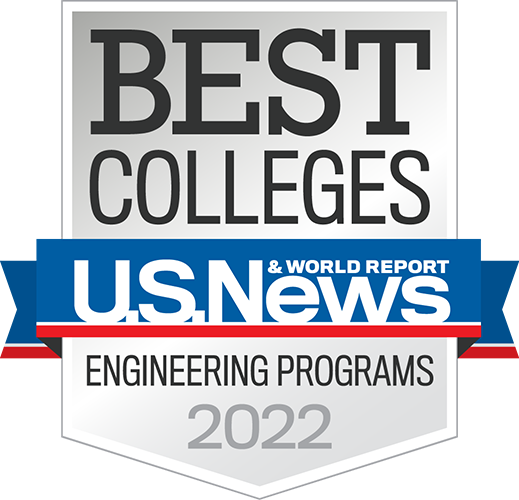 Career Services: We pride ourselves on the fact that nearly 100 percent of our graduates have found jobs or graduate studies programs just a few months after Commencement. We work hard to make that happen. 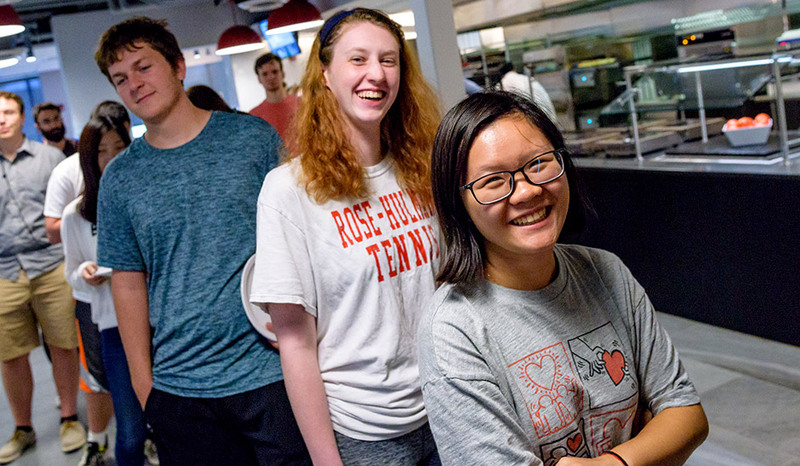 Center for Diversity and Inclusion: The Center for Diversity and Inclusion provides programs and services to foster inclusion and diversity on Rose‑Hulman’s campus. Center for Global Engagement: The mission of the Center for Global Engagement is to partner with students, faculty, staff and the greater community to foster a campus environment that supports and promotes international understanding and engagement. 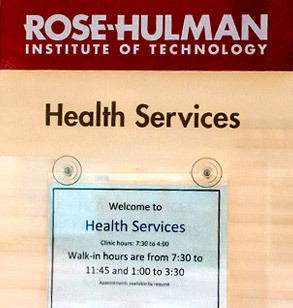 Counseling Services: We offer individual or group counseling to ensure you get the most out of your experience at Rose-Hulman. 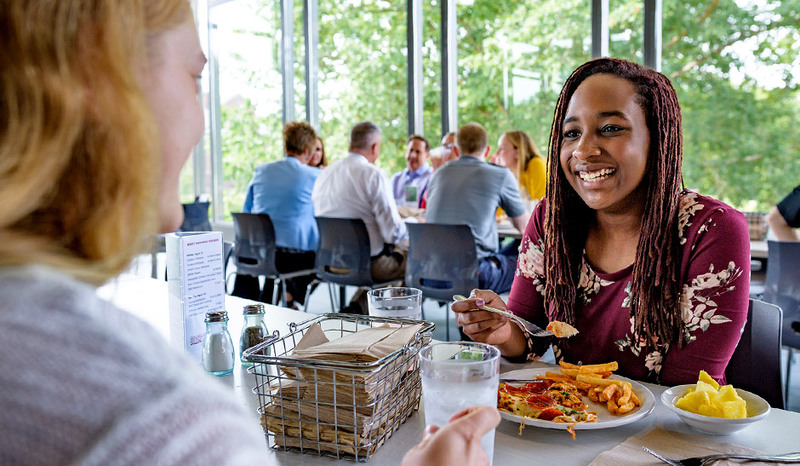 Student Affairs: We offer personal and academic counseling service, housing and Greek life information, student accessibility services, international student services, and helpful tips for all aspects of student life. 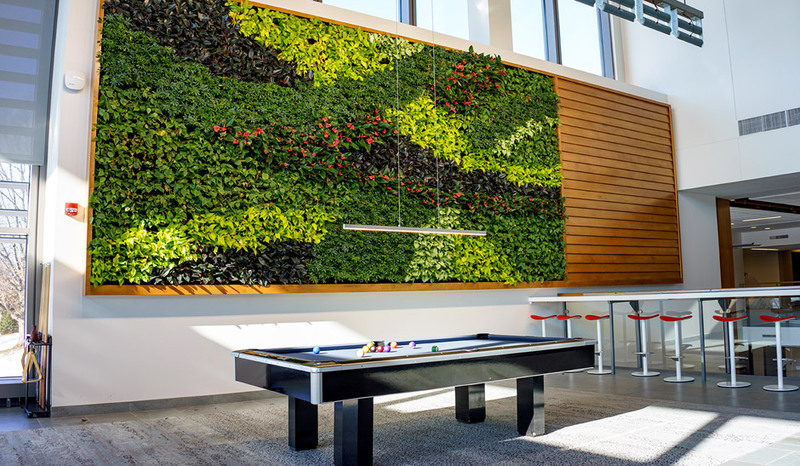 The living wall adds a splash of green to the Union interior. With the expansion nearly complete, and renovation ongoing, the Mussallem Union is open for business in time for the start of classes. 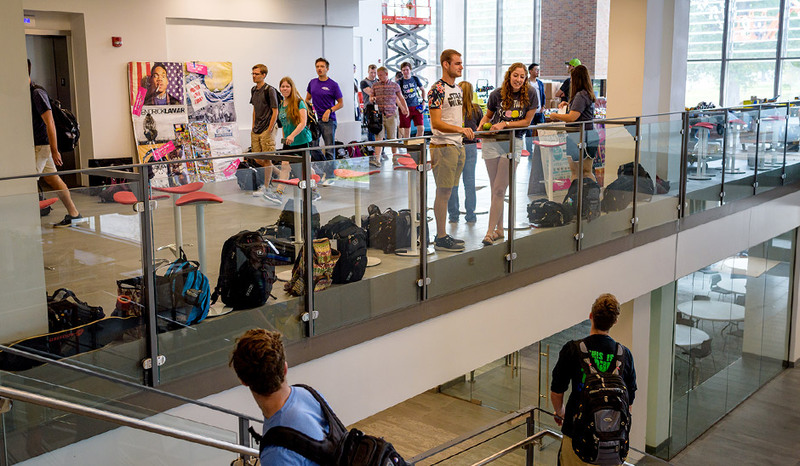 Students enjoy the wide open spaces of the expanded student union. Fresh pineapple, melon, and other fruit are always available at meal times. 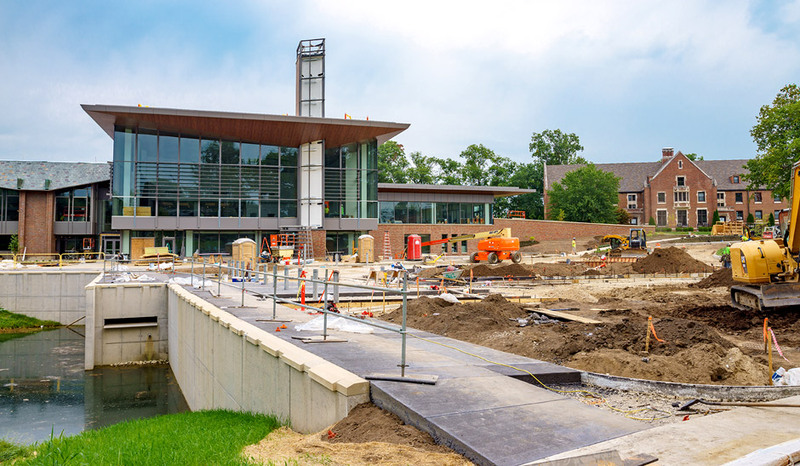 New landscaping adds more green around the new entrance. 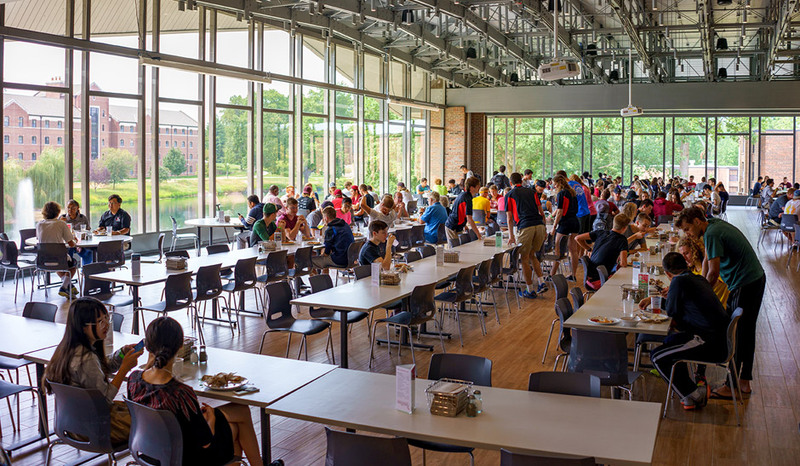 Plenty of space and great views make the dining room a great place to grab a meal and chat with friends. 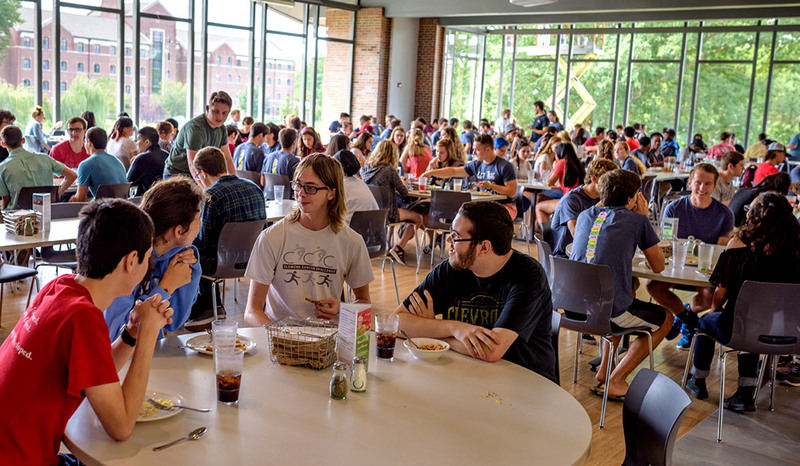 Plenty of natural light and tasty food makes the student union a great place to hang out. Almost done! The new circle drive is starting to take shape. 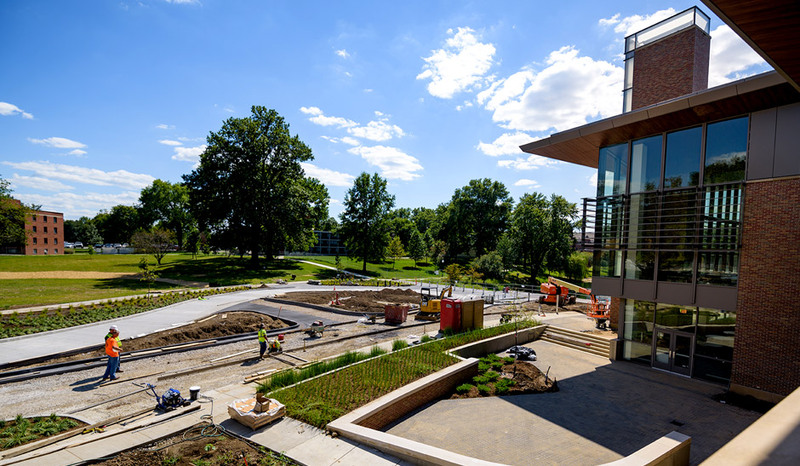 Construction crews are working hard to finish landscaping and the new circle drive in front of the student union.